Born:	August 28, 1866, Rockland Township, Venango County, PA.
Died:	January 17, 1938, Stockville, NE. Mary Ellet Fretz may be Mary Elliott Fretz according to her son, Jesse V.
Born:	December 1, 1861, Warren County, Iowa Moved with parents to Custer County, NE. in 1878. After marriage, homesteaded the home place. Married:	December 27, 1885 at Round Park in Valley County, NE. Died:	September 23, 1933, Stockville, NE. He was a farmer and member of Christian Church. He and his wife joined in 1892. They moved to Frontier County in 1901 by covered wagon. Her troubles and cares are done. And we are left alone. And will guide our every way. SURNAMES FRETZ and SMITH This record was compiled by Alberta Guthrie Covey. Information was taken from the family Bible which is in the possession of Enid Burley of McCook Nebraska at this date, Oct. 1977. Other information has been taken from census records and passenger lists of ships bringing settlers to America. Older members of the family now deceased have handed down the thought that there were three brothers, Surname Fretz who came to America from Germany. Father: Christian Meyer Fretz "Tinicum"
I. Johannes (FRETHE) FRETZ m Elsie. d 1469 Lubeck Germany. , ship-builder, farmer. 5 children: Johannes, Nels, Ursula, Anna, Catharine. II. Johannes FRETZ m Drytken SCHRODER 2 sons: Jacob, Johannes. III. Jacob FRETZ b 04 Sep 1482d Aft Sep 1540). Bottcher, (cooper) m. 04 Nov 1518 Gretchen OFFERMAN, d/o Otto OFFERMAN, citizen of Weisenfels. children: Hans b 04 Seo 1519, Otto b 11 Aug 1520, Gretchen b 03 Jul 1821 dy. Jacob b 18 May 1822, Martin b 22 Feb 1523 and Twin, Johannes (Both dy) Henrich b 10 Jan 1524.Occ. Goldsmiths. Widow Gretchen m2 Jacob OBERHOLTZER. IV Hans FRETZ b 04 Sep 1519 d 17 May 1590 09 May 1549m Martha WITMER, d/o Johannes. Res. Michelstadt, Hessen, moved to Darmstadt. Cloth weaver. 6 Ch: Wilhelm, Ruprecht, Klaus, Ludwig, Jacob Hiob (Job)and Martha. V. Jacob FRETZ b 07 Mar 1550 d 07 Aug 1622. m 17 Oct 1587 Margaret KRATZ in the Swan In. Margaret d 12 Feb 1592, 3 ch: Jacob Jr., Margaret and Johannes. Jacob m2 Sophia Hinkel MERKLEL who had 14 yr old dau by m1 to Oswald MERKLE. VI. Jacob FRETZ, Jr. b 23 Jul 1590 d d Dec 1630(Oldest son, he was 4 when his mother married Sophia. )m 1612 Maria KOLB, d/o Martin of Wolfstien, Rhine. Maria d 05 Jun 1632. 3 ch: Peter b 04 Mar 1613 in Frankenthal, Johannes, and Maria b 14 Oct 1617. VII Johannes FRETZ b 07 FEb 1615 in Rhein Pfalx. m Barbara WISMER, d/o Martin (innkeeper) of Winden. Moved family to Karlsruhe 07 Oct 1647. Innkeeper. Barbara d 1702, aged 85 bur. Hagenau. Ch: Johannes, and Jacob b 17 Oct 1638 in Winden. Anna d 11 Oct 1714, aged 76. Living ch: Johannes, and Christian b 13 Feb 1684. Johannes, Christian and Mark all went to US and Barbara had also left home(according to Anna Maria's will, prepared in Sep 1729. Abraham had died. Everything was left to remaining son Jacob. X. Immigrant "Weaver" John FRETZ b Hagenau, Alsace 02 Feb 1704. m Barbara MEYER, d/o Hans. X. Immigrant Mark FRETZ b Hagenau, Alsace 11 Mar May 1705. Left Germany with his brothers, no futher record. Died at sea?? X. Immigrant "Tinicum" Christian FRETZ b Hagenau, Alsace 02 May 1709 . X. Barbara FRETZ b Hagenau, Alsace 07 Jun 1706. 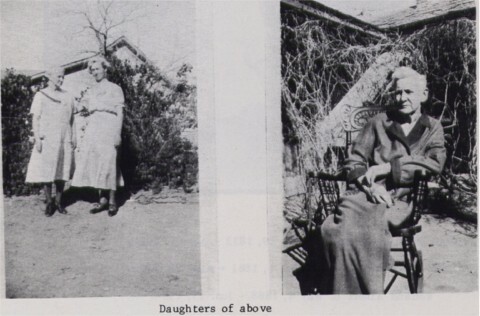 Although her mother mentioned her as having left home, it is not certain whether she accompanied her brothers to America. Barbara Fretz born 1740 was the daughter of Christian Tinicum Fretz born May 12, 1709 , Manheim Germany and Elizabeth. They lived on Tinicum Creek, on what is now known as Heaney's Mill. now Bedminster, on what is known as the Old Fretz Homestead. 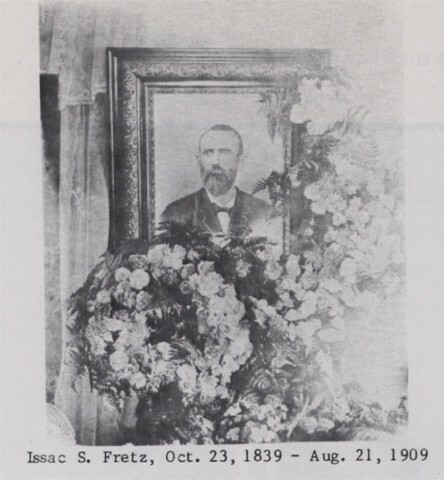 The Fretz families were religious people, most attended Deep Run Mennonite church. The children were given Biblical names, and hence the duplication, and the need for nicknames for identification. Most were farmers, and non-combatants in the Revolutionary War. They did supply grain and hay when requisitioned. Some of the grandsons did drive teams and wagons for Washington�s troops, but bore no arms. Weaver John�s 2nd son, was Jacob, and Joseph (Big Joe) was Jacobs� son. (Weaver�s grandson). We have no information regarding his nickname. Most of Jacob�s family migrated �West� to Ohio. However, Jacob�s farm (plantation) reached to the Tohickon Creek. 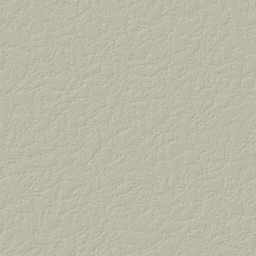 There was a fulling mill* at the confluence of the Tohickon and Haycock creeks, abutting Jacob�s land. The mill was run by another Joseph , known as �Fuller Joe�, also a grandson of Weaver John, but thru his 3rd son, Christian. (Christian and Jacob were brothers). * Fulling mill- a facility to process cloth, to shrink and thicken (woolen cloth) by moistening, heating, and pressing. Jacob Fretz, (son of Weaver John Fretz) was born in Bucks Co, PA. around 1732, he was married in 1755 to Catharine Naah. He was buried in Old mennonite graveyard in March 1808 Joseph was known as (BIG JOE) his son. His childrens name were Elizabeth, Abraham, John, Hannah, Barbra, Magdalena, Jacob, William, Joseph, and Isaac. William Fretz dob Oct. 22,1768 dod unknown, Joseph Fretz and known as Big Joe dob. Nov.10,1794 dod Dec.7,1854 and more..